With the increase in competition among all industries, Customer service has become an essential part of a company. The biggest challenge in customer service is to deliver the best quality products along with the best customer service. This is the ultimate challenge that organizations face and addressing it becomes a very tedious task for everyone around. Your support team has to come up with answers that are flexible and as per the requirement of the situation. You also have to give your team some leeway where, in the interest of your company’s reputation, they would be able to serve your consumers better. There are of course many permutations and combination of questions, feedback, and queries you have to face. But, some service challenges are more common than the others. So, to give you an insight on how to tackle tricky questions, let us take a look at the top 8 customer service challenges that you might have to face and the proper ways to resolve them. This section is more about what you must not do rather than what you must do. There may be times when customers might catch you off guard and ask you questions you do not have any clue about. The question may seem relevant and on topic, but your Customer Support Executive may not know the answer to it. It has happened before and it is bound to happen again. A customer, in all honesty, may ask a question that an executive might not know. However, that does not mean the executive would say ‘I don’t know’ on the matter. For Example: if a consumer buys a product online and seeks an update on his shipment or consignment in transit from the seller, then the seller might not have an accurate answer to it as the logistics are generally handled by a 3rd party courier company. However, this is where your team can guide that shopper to the right place or try to get the information in order to pacify the shopper. But most times you might not have the answer but you cannot shrug it off with a negative response. Your buyer may not appreciate your predicament but you still have to understand their scenario and deliver as much as possible. Just avoid words like ‘Sorry, we don’t have an answer to that question’ or do not guesstimate or lie. The last thing that an aggrieved customer need is a wrong answer. The logical thing would be to acknowledge the difficulty of the question and ask for some time and guarantee a call back with an appropriate answer. Consumers hate it when they have to listen to the popular automated message: Your call is important to us, please stay on the line while we transfer you. But the irony is that in some cases your team has to transfer calls to your consumers in order to facilitate better support and aid. For instance, the sales department of a company won’t be able to talk about your pending bills and charges. If comforting words are not delivered during the call transition period, then the buyer might think bad and unhappy times are up ahead. Thus, proper handling of call transfer should be done in order to keep the consumer happy. Also, once a buyer hears that he or she is being redirected to an appropriate section, he or she would certainly feel more comfortable, as the right answer to his or her question may just be a conversation away. This would certainly prove very vital in terms of appropriate customer help and support. As a study conducted by Harvard Business Review suggests, it’s reducing customer effort that actually builds customer loyalty more than any other factor. Today's customers are crazy busy and this is the reason they want you to invest in the latest tools and technology to ease the transactions and lessen the amount of communication. If your customer service representative lacks the necessary tools to address the customer problem, it's natural that they are less likely to take responsibility for any such problems in the future. Using tools and software can help your support team to interact with your shoppers in a better and a more propounding way. You can adopt tools that aid in customer interaction, visual engagement tools like Acquire can empower your support team to initiate a customer conversation in real-time, allowing them to share screens, access customers’ web resources and take actions on their behalf to foster one-time resolution. Acquire allows companies to substantially decrease the friction between you and your customers by allowing you to visually interact with your customers. However, the key is to use the right software, along with having the right people on board, so that your buyers can get a better customer experience out of it. You cannot hide behind the veil of technology if your team is incompetent. Also, whatever technology or system you introduce, you have to make certain that it is implemented across all departments so that all types of questions can be tackled in a faster way, thus providing your shoppers with the effective support. Customers sometimes are unable to explain their problem and this may happen multiple times. This is completely normal as customers may not know your processes and your technical terms; they just know that your product or service is not as per their expectations and this has led them disappointed. The solution to this is you must find out what exactly the problem is and try to reassure the customers that you will deliver the best solutions to their problem. Call it psychology or not, but once you reassure that you have some empathy for their problem, the aggrieved party would find solace in your answers. Your team must ask questions here, listen to them, check the statistics, and figure out the trends. Also, apart from understanding, you also have to accept and apologize, if the fault is even remotely from your end. If your product is malfunctioning, then it is your fault and you must accept that. Words like “We are sorry for all the troubles we have caused you and we will see that the matter gets solved quickly” works quite well if you want to show some humanistic touch. In order to learn how to apologize correctly, you can also check out some books on the topic like The Customer Rules or The Art of Apology. However, remember, just by apologizing or accepting, your job will not be completed. You have to churn out a proper solution and a remedy. You have to deliver that promise you might have just made whilst apologizing. According to Harvard Business Review, a customer journey map is simply a diagram that illustrates the steps ( touch-points ) your customer(s) go through in engaging with your company. To bring your customer service workflow in alignment with your customer journey, you first need to pen down the information your customers may need at each stage of their journey. 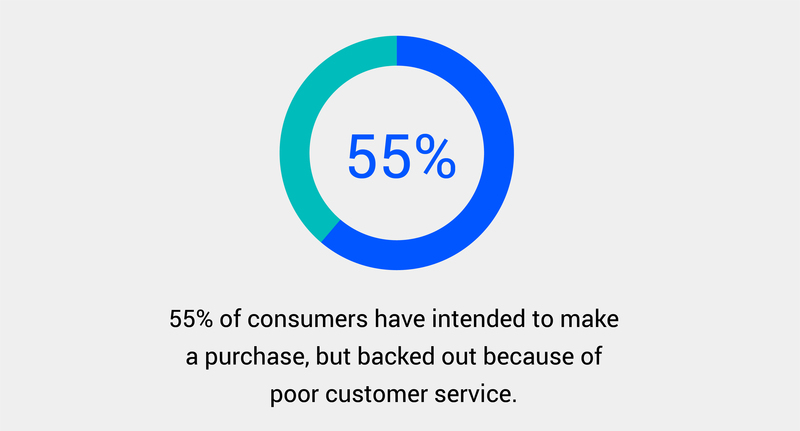 While mapping out an individual workflow with your customer support process, you may identify bottlenecks or breakdown in your customer service workflow which is affecting the overall customer experience. For example, if you are an e-commerce agency and your store is up to the mark, the product descriptions are perfect with an easy checkout process, however, whenever your customers contact for the delivery update, your support agents are clueless. Your customer service agents should have access to all the required information in order to assist the customers across their journey. The more accurate and seamless each workflow is, the more seamless the overall customer journey will be. Draw a customer journey map - make yourself available at every customer interaction touch-points - keep a record of past conversations - understand the role of each employee in serving the customers - list down the information your customer service agents may need to address the customer queries - provide access to the information - allow them to collaborate on customer issues - set SLA for minimum response and resolution rate - make sure to take the feedback. However, it's easier said than done. 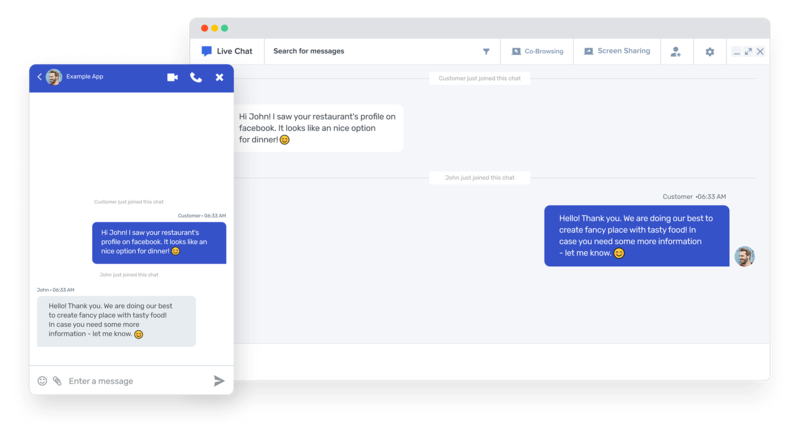 The easy alternative would be to adopt a customer communication tool, which can help you address customers from a unified platform with the right context. Even if there is a need to collaborate with other teams or access customer history, you can do it without switching between tabs. If you run a consumer support team, you will always endure angry and fuming shoppers. It is the law of nature and it is bound to happen to each and every executive in your team. The issue and the challenge here is how you can pacify and calm them down—and ultimately solve the problem to satisfy all concerned. A customer can go out his or her anger for various reasons but it is your job to make sure that proper service and help is provided in order to find the right solution. Ignorance is not at all bliss here. And, a fist fight on the phone/e-mail is a strict No-No, while getting too much defensive without providing any real solution is also a mistake. You can take a leaf from Disney’s book, as they have developed and harnessed the effective HEARD Technique. In HEARD, your team must Hear, Empathize, Apologize, Resolve, and Diagnose. This technique can certainly calm your customers down and also provide them with the required solution. Apart from that, with the help of this process, you can also analyze how you solved a particular challenge, thus making it easier for your team to handle the next, similar, case. 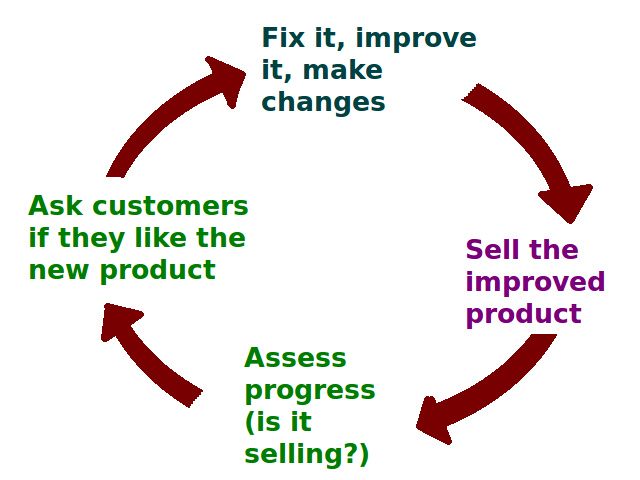 If you figure this jigsaw puzzle out, then you’d seriously improve your product and also serve accordingly to a customer and bring back his or her smile! Customer Service is a very tricky portal. You and your team may have to face these and several other challenges regularly. Solving them would provide your team with the confidence to tackle the next case, and it also will allow you to create a bond with the shoppers, and overall, build up your reputation in the market. “The key is to set realistic customer expectations & then not to just meet them but to exceed them- preferably in unexpected and helpful ways” – Richard branson. In this modern age, the company should have a customer-centric approach to survive and to get success in this competitive world. Customer’s expectations constantly keep on changing these days so the biggest challenge is to fulfill those expectations by keeping themselves one step ahead & keeping themselves updated based on customer feedbacks latest market trends. Doing continuous research and gathering data will help to serve customers in a much better way. There are various ways such as print media, television, telephone, and social media from where one can gather data about customers and as a result, this will help customer service representatives to deliver great services to customers. Implementing the policies and strictly following those policies by all the employees will lower the difficulties of the customer service representatives to some extent. Below are some points which will help us to exceed Customer Expectations. Proper and impactful training to your customer representatives & empowering them will boost their confidence and they will happily boost your company’s brand image and will be able to create an amazing experience for the customers. By focusing on small things and adding a personal touch with the customers will surely help to exceed customer’s expectations beyond the limit. Skilled and trained customer service executives are needed to handle angry customers in an emotional way. Angry customers only need someone to listen and consider their problem effectively. They need an emotional touch as they are suffering despite the fact that they are not at fault. Best way to handle them is apologizing sincerely. Sincerely Saying “I am sorry” or “I am truly apologizing about” is a compulsory response even though you are not at fault. By apologizing and making them understand calmly that you are very sorry that the experience was not up to your expectations, but you are not to blame. By accepting responsibility and speaking politely (i.e. “I am sorry that you suffered a lot and please be online I’m sure I’ll make sure that you get the best solution). It’s tough to make the customer happy by providing a perfect solution but one must try to make the best effort in satisfying customer. Why are Marketers Focusing on Personalization to Win the Market?